One of my favorite things about summer used to be not having to pack lunches every day for the kids to take to school. As they have grown up some and started doing summer camps more often, we have fallen into a routine of packing lunches even during summer. Of course, camps are usually outside so I have to shift what I pack just a little. Right now, their absolute favorite thing to pack is Strawberry PB&J Roll-ups. 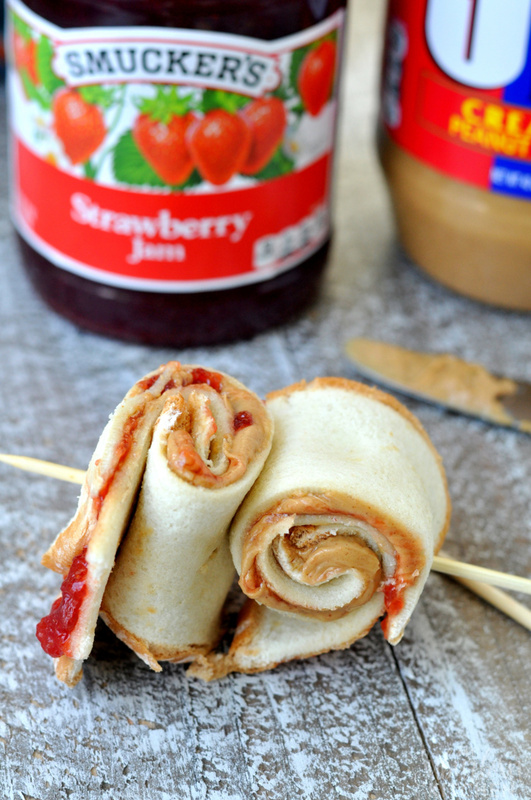 These Strawberry PB&J Roll-ups came about one day while my daughter was helping me in the kitchen. One of her responsibilities around the house is to help pack lunches. I was making a peanut butter and jam sandwich for my son and she wanted to make it “more fun.” She grabbed our Jif® Creamy Peanut Butter and Smucker’s® Strawberry Jam and started brainstorming on what she wanted to do. She originally wanted to cut the sandwich into shapes but didn’t like any of our cookie cutters. So, I suggested we make the sandwich into a roll-up instead! 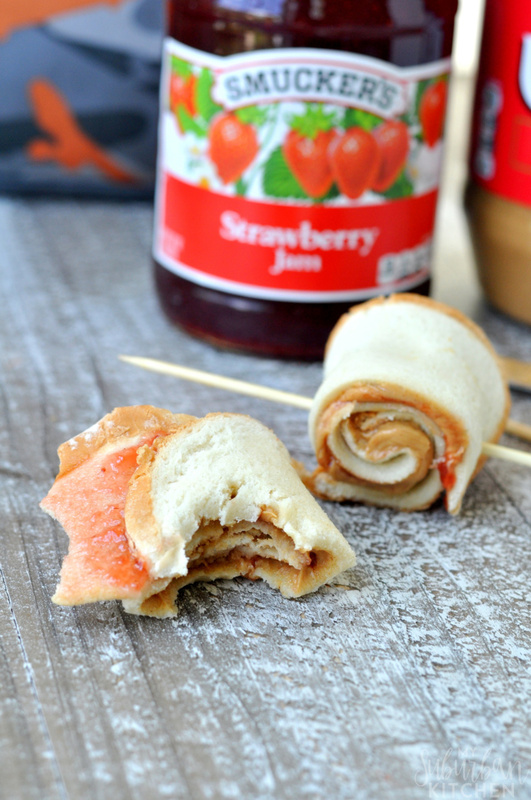 Making these Strawberry PB&J Roll-ups is super easy. Plus, you only need three ingredients to make an awesome sandwich no kid (or parent) can resist! And a filling lunch, with 7 grams of protein from the peanut butter that you know they will eat is the perfect way to power their day! 1. Lay the two pieces of bread on a flat surface. Using a rolling pin or glass (I just used a water glass), roll the bread into thin, flat pieces. 2. 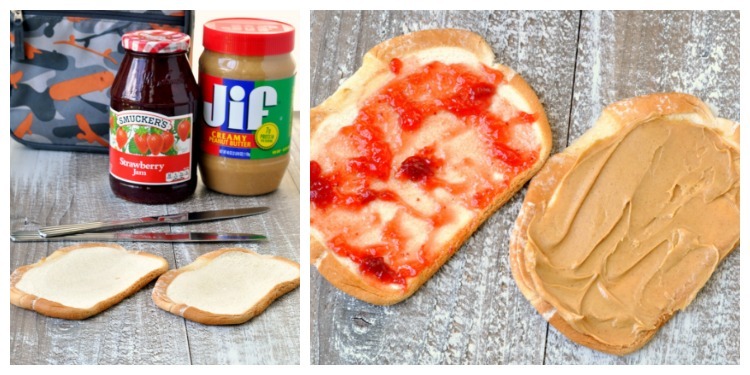 Add Jif® Peanut Butter on one piece of bread and Smucker’s® Strawberry Jam on the other piece. Put the two pieces of bread together and cut in half lengthwise. Roll each half up into a spiral and secure with a toothpick or kabob skewer. My kids love these roll-ups and ask for them all the time. I love knowing they are getting a great lunch with protein that will help power their day and keep them from getting hungry at camp. Another bonus: these roll-ups are great for getting kids involved in the kitchen too. My daughter can now make her own whenever she wants one or to help out with getting lunches ready for the next day. 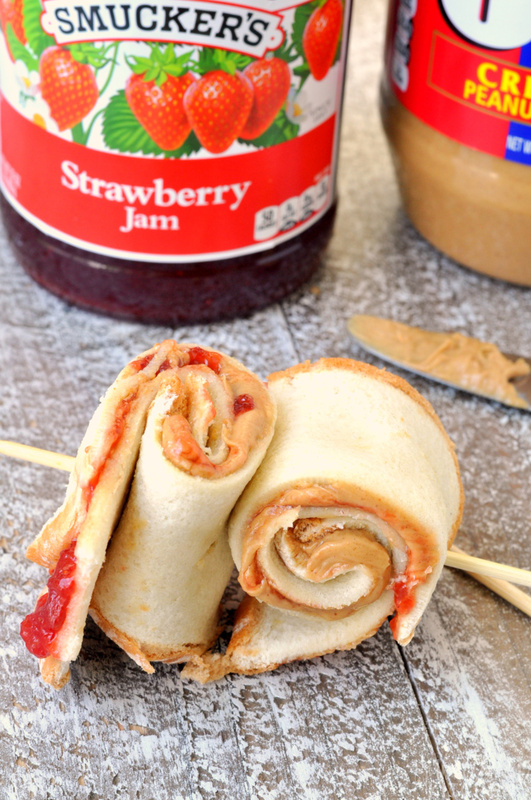 Next time you are at Walmart, be sure to pick up some Jif® Creamy Peanut Butter and Smucker’s® Strawberry Jam so you can make Strawberry PB&J Roll-ups too.